Dimensions 12 ft x 18 ft x 10.5 ft tall. Castle slides are a big wow with children. 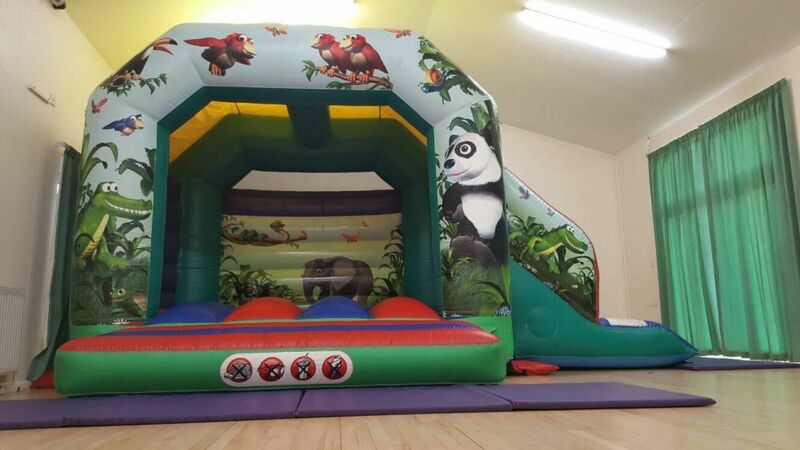 This combo requires a spacious venue as its an open bouncy castle with slide on the side. Go wild with our jungle theme perfect for all explorers up to 1.5m tall.